The stuffed lions guarding Robert Mugabe’s statehouse are well known. They are also tattered and balding, and it is unlikely that interim president Emmerson Mnangagwa will keep them once he moves in. On Friday (Nov. 24), Zimbabwe will have a new president for the first time in nearly four decades, meaning Mugabe will have to find a new place to live. As a homeless autocrat, he will find himself among interesting company. One of Africa’s most notorious dictators opted for the quiet life after power. Once deposed, Uganda’s Idi Amin swapped his military fatigues for the more humble robes of a pious man living the quiet life in a country known for its hospitality to deposed despots. In Saudi Arabia, Amin received a monthly stipend and the respect of still being called “Mr President.” Until his death in 2003, Amin was often spotted wandering through grocery stores, going to the health club, and praying at his local mosque. It was a life far removed from one the world’s most brutal dictatorships, during which about 300,000 were killed under Amin’s regime. Saudi Arabia continues to offer a comfortable retirement to Africa’s strongmen. Ousted Tunisian leader Zine El Abidine Ben Ali fled to Jeddah after the 2011 revolution that ended his 23-year rule. Ben Ali’s retirement has not been as tranquil as he may have imagined, with Tunisia’s new government continuously calling for his extradition. 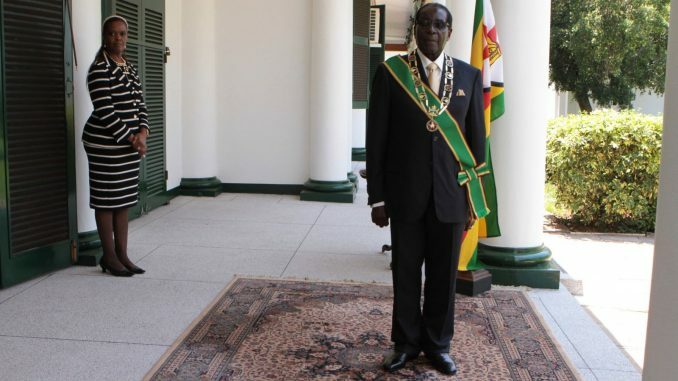 Until now, Mugabe himself has provided a safe haven for fallen autocrats. In 1991, Ethiopia’s Mengistu Haile Mariam fled the capital Addis Ababa and into safety in Zimbabwe. His departure brought an end to his Marxist-leaning government, which for 14 years was bedeviled by war, famine, failed economic policies, and a mass crackdown on enemies known as the Red Terror. Media reports have suggested Mengistu had been advising the Ethiopian government on security matters. In his adopted home, he also consulted on a clean-up campaign that left millions of Zimbabweans homeless. He was convicted of genocide by an Ethiopian court in 2006, but Zimbabwe refused to extradite him. With Mugabe now out of power, his fate is uncertain. The year 1991 was tough year for other East African dictators, too. Following a bloody war with insurgents, Somalia’s dictator Siad Barre fled the capital Mogadishu and headed south towards the Kenyan border. Barre had come to power in a bloodless putsch in October 1969, and ruled over the Horn of Africa nation with an iron fist. Many observers believed that he was grooming his son, Maslah, a Soviet-trained army general, for the presidency. After he was ousted, Barre was hosted by the Kenyan government but protests against president Daniel arap Moi led him to leave for Nigeria, where he died four years later in exile. Nigeria has played host to another fallen strongman. Charles Taylor served his brief exile in Calabar, a tourism hotbed in Nigeria’s south, after resigning as president of Liberia in 2003 following a peace agreement. But Taylor’s time in office came back to haunt him. Accusations of involvement in Sierra Leone’s civil war led to an indictment by a war crimes tribunal, so Taylor’s exile was cut short in 2006 after he was repatriated to Sierra Leone. His fortunes worsened in 2012 when he was sentenced to 50 years in a British prison by an international court in The Hague for war crimes. In 2014, Burkina Faso’s Blaise Compaoré was forced to resign from office after intense public protests in opposition to his attempts to extend his 27 year hold on power. Compaoré took power in 1987 in a coup that resulted in the killing of Thomas Sankara. After being ousted from office, Campaore chose Cote d’Ivoire as his new home. Although he’s not quite an African strongman, Haiti’s Jean-Bertrand Aristide fled to Africa when his country had had enough of the priest turned president. Aristide has been forced to flee twice, in fact. He became Haiti’s first democratically elected president in 1990, before being overthrown. After being elected in 2001 and overthrown again in 2004, Aristide arrived in the South African capital of Pretoria after some back and forth about who would take him after he was deposed. While there, he used his time constructively, earning a doctorate for a comparative study between Haitian Creole and isiZulu. He returned to Haiti in 2011, where he has dabbled in politics, campaigning for allies. As Mugabe searches for new digs suitable for a deposed dictator, he may take comfort in the examples of those who have come before him. It’s uncertain whether he’ll be able to squirrel away as much as Ben Ali did, or whether he’ll have a sponsored, simple life like Amin. So far, Mugabe’s allies turned opponents have maintained a reconciliatory tone towards the 93-year-old, which may see him only moving down the road in Harare.